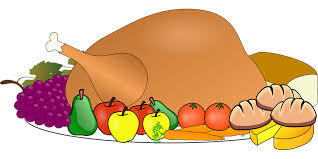 Welcome back to our mini-series covering all of the different ways in which you can be safe this Thanksgiving holiday! In part one we covered some practical advice such as planning a big sleepover so that no one has to worry about driving while intoxicated, or being hit by a drunk driver; cutting back on the amount of food you eat so you don’t become too tired too quickly; and choosing to eat dinner earlier, rather than later, to avoid all of the traffic. Here are even more precautionary steps that you can plan for to ensure a safe Thanksgiving this year! Organize a carpool: Seeing that Thanksgiving tends to be a very large event where both family and friends come together once a year to share this meal, it might help to arrange a carpool. Not only will this help getting those friends/relatives who are always late to show up on time, but they can avoid traffic by driving in the HOV lane. This is also a great idea for people who love to have a little more wine than they should, because there will automatically be a designated driver who is in charge of everyone’s safety. If you’re flying, pack light: If, by chance, you’ll be flying this Thanksgiving, it is best to pack as light as possible. Thanksgiving is without a doubt one of the busiest times of the year when it comes to air travel. In order to save yourself both time and keep peace of mind, try to fit everything you intend to bring with you in your carry on. It will help to avoid luggage mix-ups and will save you time because you will be able to avoid the baggage claim area. Keep children away from the road: Even though most people will be sitting inside and eating or relaxing, children always have a way of making it to places that tend to be unsafe. One precaution that parents should take is to ensure that their children are not playing in the middle of the street, without adult supervision. Rather than letting kids run around in the streets, have them play in the backyard, or in an area where there will surely be an adult around to watch them. With drunk drivers on the road, avoiding the front road is a good safety measure parents can take. We hope that you, your family, and your friends have a wonderful Thanksgiving filled with love and food. Just remember to be safe!